Weight: ranges from 2lbs, 9-13 oz. 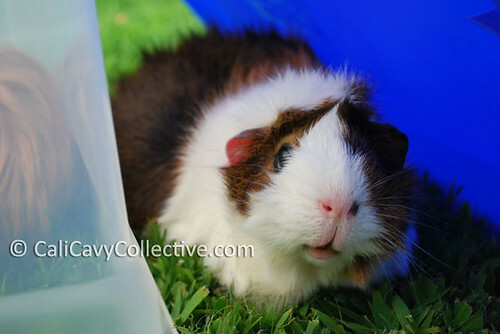 Favorite foods: grass, clovers, carrot tops, green beans, corn silks, dill, broccoli leaves, watermelon, dried corn husks, grapes. 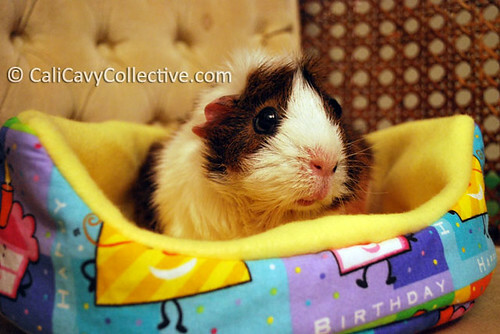 Story: Like Sharky, Coppy joined our previous piggy family as a companion for Cinnamon. Unlike Sharky, Coppy was not one to follow anybody around - even as a youngster, she was an Abby with attitude. Coppy later developed a strong bond with Morry (although she didn't let that stop her from stealing his leftover lettuce). The two were often spotted napping side by side on opposite sides of the cage divider.